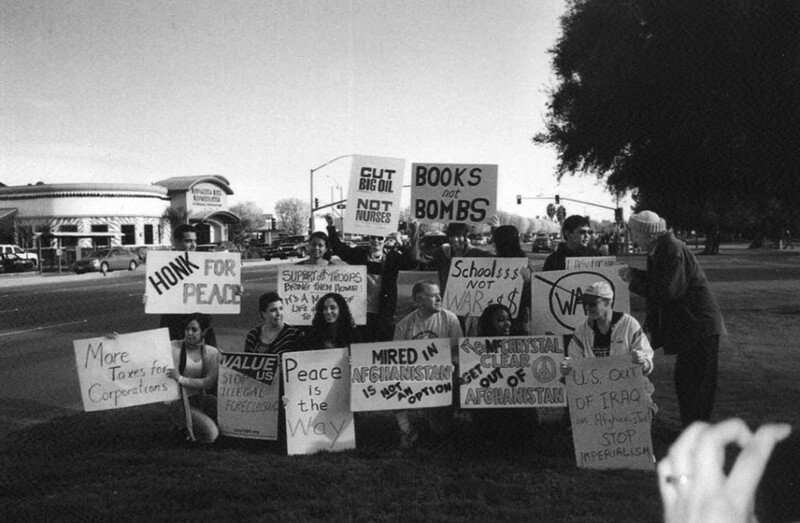 The Peace & Justice Network of San Joaquin County (PJNSJC) is a local grassroots, all volunteer educational non-profit, based in Stockton, in the Central Valley of California. We have been working on issues of peace, justice, and a healthy environment for over 30 years. To that end the group publishes and distributes a free newspaper, Connections, provides access to a local cable television for producing shows, participates in the local Earth Day, sponsors the Peaceful Holiday Fair, and other events. In September 2005 we opened the John Morearty Peace Center providing the liberal community with a meeting place and a space for presenting movies, music and speakers. Also within the Peace Center is the studio for Stone Soup-Stockton Community Radio, now the Voice of Stockton. We encourage people to educate themselves with a variety of points of view and news beyond the mainstream and engage in conversations that will move our community and the world community forward. We welcome all who agree with the following mission statement to join us in working for these essential goals.